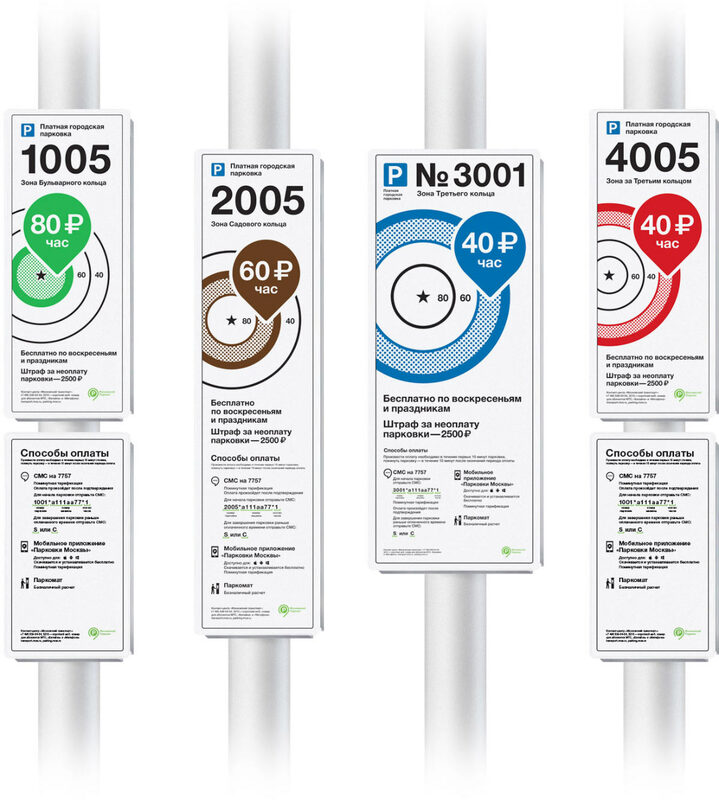 Task: to make parking signs even more noticeable, clear and precise. 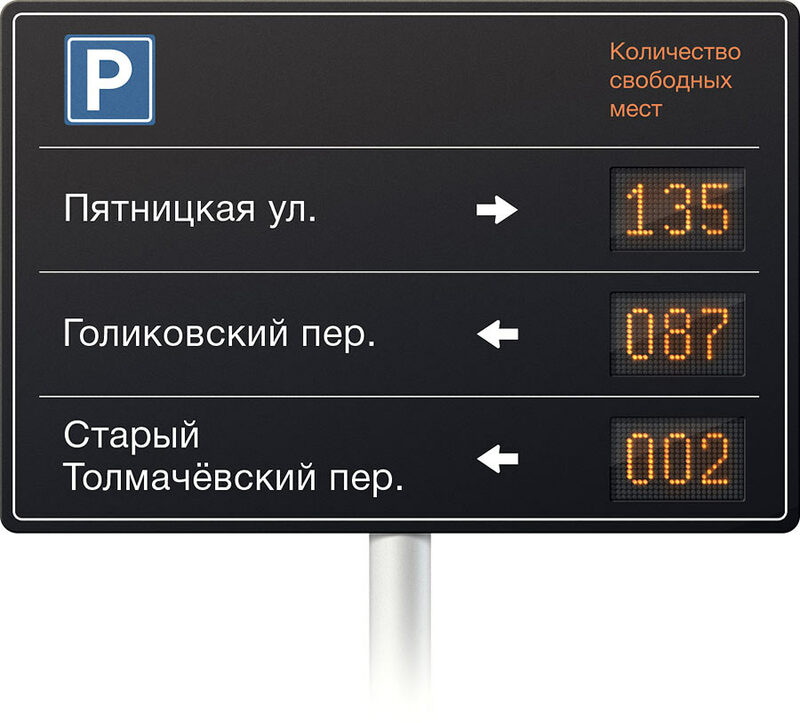 By the request of Moscow Parking, parking signs were updated to make parking in Moscow more convenient for drivers. To make sure the drivers’ adaptation to the new design is as flawless as possible, the dimensions of the signs as well as color coding and the ring structure of the graphics were maintained. To increase legibility, both the rings and the space inside them are now colored. Each sign clearly shows the zone of each parking space. Parking spaces for trucks and the Moscow City parking zone received their own signs. Parking meters located along the streets now have new useful stickers. 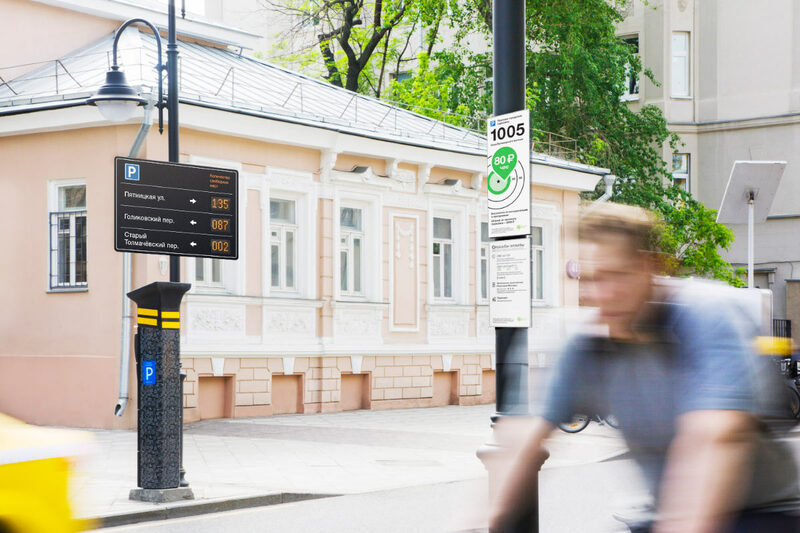 The numbers of the parking zone and the parking meter, as well as the hotline phone number, are now displayed on the front panel of each meter. 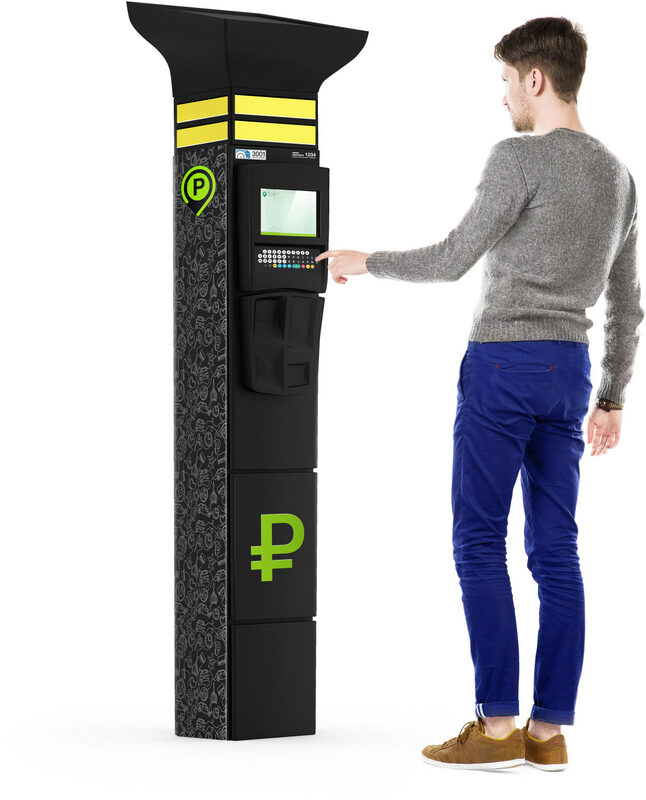 This provides the users with all the required information and allows them to get help in case of a parking meter malfunction. Parking lots are now equipped with electronic signs that help drivers find a free space quicker.